Guided tours take place from 10am to 3pm. The Museum of FC Chelsea is open from 9:30am until 5pm. The tour of the Stamford Bridge takes place on most days throughout the year. We are comparing Chelsea Footbal Club Stadium and Museum Prices from leading ticket suppliers and Try to find you Cheap tickets prices on the market. FC Chelsea is one of the most famous football clubs in the world, and this package is a perfect introduction to the teams history and internationally loved sport. Fans of the London based club have a unique opportunity to tour premises and rooms which are normally reserved for club officials and players. se the museums entertaining audio/visual displays, touch screens and other interactive displays to learn about the development of FC Chelsea. You will also visit the Stamford Bridge Museum and examine various interesting exhibits, including the Champions League and Europa League trophies. The guided tour and a visit to the club's museum is a great introduction to the club, ideal for fans of FC Chelsea and football lovers in general. Your Experience With Chelsea Footbal Club Stadium and Museum? On this guided tour, you will learn a lot about this the beloved Chelsea Football Team. 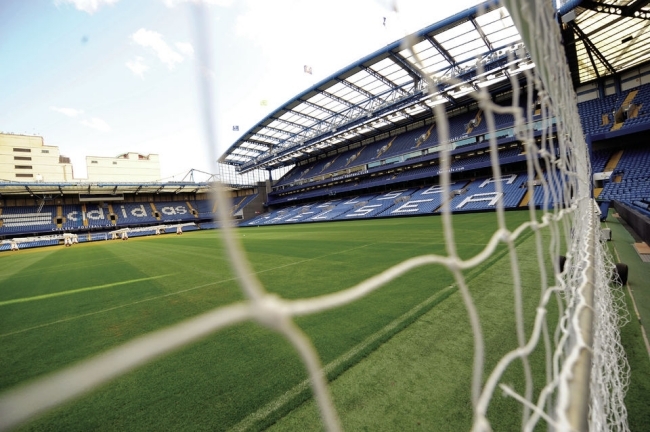 Discover stories behind the team and tour premises of the Stamford Bridge Stadium. Learn the history of this popular club from a knowledgeable guide and use the stadium's interactive displays, audio/visual performances and touch screens to discover even more about this team. You will visit the Stamford Bridge's press room and the room where TV interviews take place, as well as the home and away dressing rooms, the players’ tunnel and pitch side. You will also find out how FC Chelsea evolved throughout its history and how it became one of the most popular and beloved football clubs all over the world. Finally, take a look at the club's collections of trophies, including the ones from the Champions and Europa League. What Chelsea Footbal Club Stadium and Museum Includes? A guided tour of the Stamford Bridge Stadium (including access to reserved players areas). Access to the press room, dressing rooms, the pitch side and player’s tunnels. Entrance to the onsite museum. Parking is free on Sundays if you plan to go to the Stamford Bridge by your car. Travelers Reviews about Chelsea Footbal Club Stadium and Museum? People that took a tour of the Stamford Bridge had a fantastic experience, which they rated with 4.8 out of 5 on Get Your Guide, 5 on Viator and 4.5 on TripAdvisor. Comments tent to agree thar the knowledgeable and friendly guides create a really outstanding. The majority of travellers who reviews the tour would recommend it. This activity is suitable for wheelchair users. You will need to show either printed or electronic voucher at the entrance. Each provider of the service allows refunds for timely cancellations, which, however exact cancellation term are dependent on the individual company policies. The last entry into the Chelsea FC Museum is half an hour before the closing time. On certain occasions parts of the Stamford Bridge Stadium may be inaccessible to visitors. Tours of the stadium are not possible on match days. Address: Stamford Bridge, Fulham Road, London.